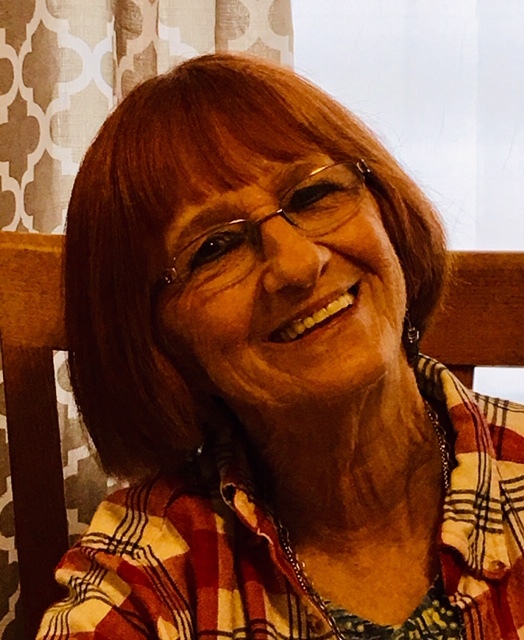 Pat Hedrick Williams, 75, of the Sweetwater Community in Robbinsville, NC went home to be with the Lord, early Thursday, March 21, 2019, at her residence. A native of Graham County, she was the daughter of the late Marvin and Gladys Hedrick. In addition to her parents, she was preceded in death by her brother, Buster Hedrick. She is survived by her husband, Matthew Williams; her children and their spouses, Sheila and Joel Chapman of Lawndale, NC, Tammy and Bill Hicks of Robbinsville, NC, and Rodney Millsaps and Robbie and Laney Millsaps, all of Robbinsville, NC; her step daughter, Shannon Elliott of Robbinsville, NC; her brothers, Jim Tom Hedrick and Gerald Hedrick, both of Robbinsville, NC; and her sister, Judy Williams of Robbinsville, NC. Pat helped care for many people throughout the years, including her nephew, Brandon Parrette of Robbinsville, NC. She was widely known as “Big Moma,” especially by her grandchildren Rebecca Smith, Chasity Chapman, Dennis Joel Chapman, Jr, Tabitha Henry (Alex), Jordan Colby Lovin (Nancy), Heidi Haney (Brandon), Cole Millsaps, and step grandchildren, Ashley Brooks, and Will Elliott. She has seven great grandchildren, Ayden Barrett, Kamdyn Jordan, Keylie Jordan, Keller Henry, Oliver Lovin, Ember Kay Millsaps, Nayvee Bae Millsaps, and her step great grand-daughter, Emberley Grace Brooks. Funeral services will be held at 2:00 pm Saturday, March 23, 2019 at Townson-Smith Chapel. Reverends Tom Buchanan, Jack Millsaps, and Noah Williams will officiate. The family will receive friends from 12:00 until 2:00 pm Saturday at the Chapel, prior to the service. Burial will follow at Jenkins Cemetery in Stecoah, NC.